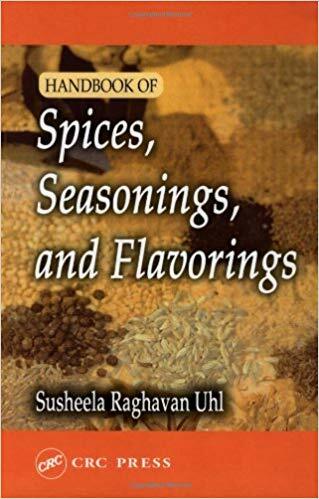 The first modern, global handbook on spices, seasonings, and flavorings for today’s food product developer, research chef, culinary educator and seasonings professional! This new title includes traditionally popular ingredients and the increasingly important ethnic spices, seasonings and flavorings crucial for creating ethnic, fusion and regional American food products, and focuses on current and emerging trends in the marketplace. Topics also presented are technical data on properties and preparation, and a functional approach to creating flavors and seasonings for foods and beverages. The Handbook contains a wealth of technical information. It presents detailed descriptions of individual spices and seasonings, arranged alphabetically, which include: different forms, how they are sold by suppliers and how these forms affect processing and product flavor. It also presents physical and sensory properties, major chemical components, how they are prepared, and traditional folk or therapeutic uses. With detailed technical and application information on emerging flavor contributors, including roots and rhizomes, flowers, wrappers, seafood flavorings, fruits and vegetables, nuts and legumes, the Handbook provides valuable information on the emerging spice blends and seasonings of many cultures and geographic regions, including the regional cuisines of Latin America, the Caribbean, Asia, Africa, the Mediterranean and North America. Handbook of Spices, Seasonings, and Flavorings will interest food technologists, product developers, and flavorists, as well as people in marketing, sales, and consumer relations in food and beverage industries. Recipe development personnel, spice and seasoning suppliers and manufacturers, chefs, culinary and food service professionals, and dieticians in education, food service, and hospitality will also find it a valuable addition to their libraries, as will food writers and journalists.